On April 3, 1942, one of the first to receive the “Guards” title was the mine layer. At the time, it was under the command of the Captain of the 1st Rank Nikolai Iosifovich Meschersky. This ship had a long and glorious life. It had the chance to participate in and witness many important events that are associated with our Homeland’s history. Our story covers the most striking episodes of its military path. At the end of the last century, a royal steam yacht Shtandart was built. In 1917, its crew took part first in the February Revolution, and then in the Great October Socialist Revolution. The central revolutionary body of the Baltic Fleet sailors, called Tsentrobalt, was located onboard the vessel. In 1918, Shtandart took part in the historical Ice Cruise and successfully arrived at Kronstadt. In 1935 – 1936, the former pleasure yacht, called 18 Marta (March 18), was remade into a mine layer. During reconstruction, both the First World War experience and the speedy development of the military science were factored in. The ship received not only the most state-of-the-art equipment for laying 320 mines, but also powerful artillery, consisting of four 130 mm main guns, seven 76.2 mm all-purpose guns, three 45 mm antiaircraft guns and two coaxial machine guns. New steam engines, guaranteeing sailing speed of over 14 knots and operational range of up to 2300 miles, were installed on the mine layer. 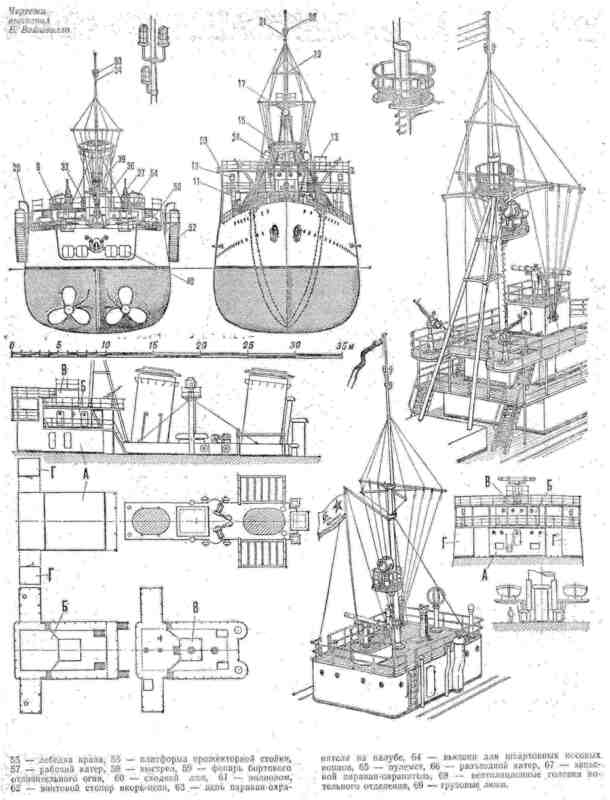 The resulting tactical and technical performance characteristics were quite impressive: the tonnage reached over 6 189 displacement tons, length - 122.3 m, width - 15.39 m, water draught - 6.97 m, and the power of the devices reached 11 426 h. p.
The external and internal appearance of the ship changed so much with the modernization that the English reference book Jane described the ship in the following way: “It’s a totally new ship that has nothing in common with the royal pleasure yacht… which becomes apparent already from the ship's contours and outside appearance.” The English named the mine layer a mine cruiser. 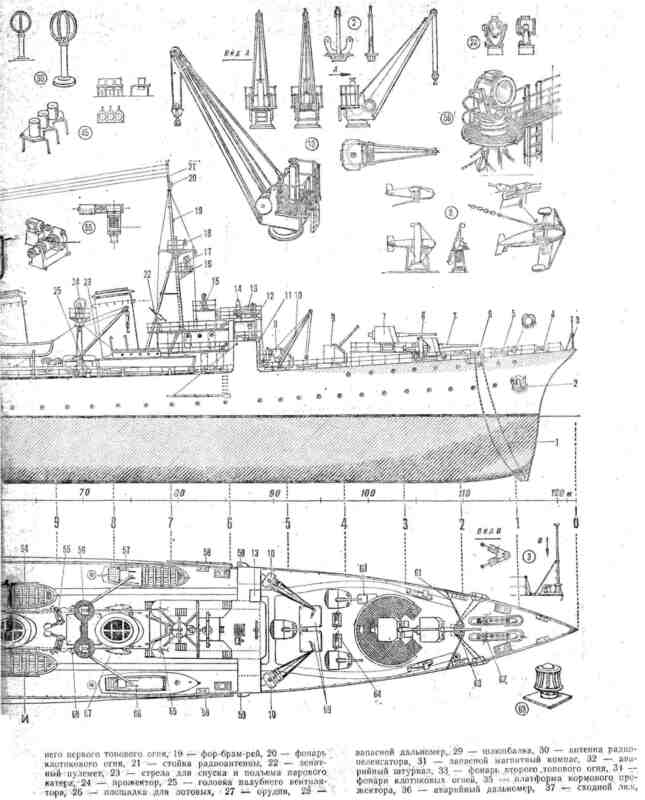 In 1938, the ship, having received the name Marty, became flagship of the large unit for mine laying and mine sweeping of the Baltic Fleet, decorated with the Order of the Red Banner. It should be noted that the mine layer’s crew was superbly trained, and in a short time-frame. This can be largely credited to the ship's commanding officer, Captain of the 1st Rank N.I. Meschersky. Coming from the nobility and descendant of the princes Mescherskies, Nikokai Iosifovich, nevertheless, served the socialist Homeland faithfully and loyally. Highly educated officer, skillful and courageous sailor, he always followed the motto of the renowned Russian naval commander S. O. Makarov: “At sea like at home!" For days the mine layer did not return to base, sailing in the storm and in the calm, by night and by day. The following incident testifies to the perfection of the combat training of the crew. One time during crew inspection, the bilge machinist Zverev was blindfolded and ordered to find the flood valve of the ammunition chamber, located on the other end of the ship. The inspector could not keep up with Zverev, even though he, obviously, was moving with his eyes open, and when he caught up with Zverev, he saw him standing, his hands placed on the operating wheel of the said valve. June 23, 1941, 0 hours 16 minutes. First day of the war. Supplied with a stock of mines, the mine layer set out on its first military campaign. In the light Baltic night, the consort ships and the mine layer Ural sailing in the wake, could be seen clearly. The slender silhouette of the cruiser Maksim Gorky, escorting the ships, loomed farther away. “Prepare for mine laying!” Meschersky’s order resounded from the loudspeaker. The miners opened side ports, set the mine ramps, and checked the readiness of the devices and equipment. The siren howled. The engines that set the mine conveyors in motion hummed, the light signals, indicating the side from which the mines were to be dropped, blinked. The first mine was dropped, the second… the twentieth. The crew worked efficiently, no ruffle. And finally the last mine… Only then, once the tension was lifted, the great fatigue was felt. The commanding officer decided to lead the mine layer by an unusual route. He directed it into a passage so shallow that it was not suitable for covert movement of submarines. This route was difficult and dangerous. Even in the days of peace, with the fairway marked by buoys and lit beacon lights, the large ships were banned from using it. And now it was war time. The plunging shells forced the periscope to disappear from the surface of the water. In a few minutes, behind the stern of the ship, where the mines had just been laid, a powerful explosion went off. The sea erupted, expelling a mass of debris onto the surface. “Konstantin Mikhailovich!” Meschersky addressed the navigation officer, “Record in the ship’s log. 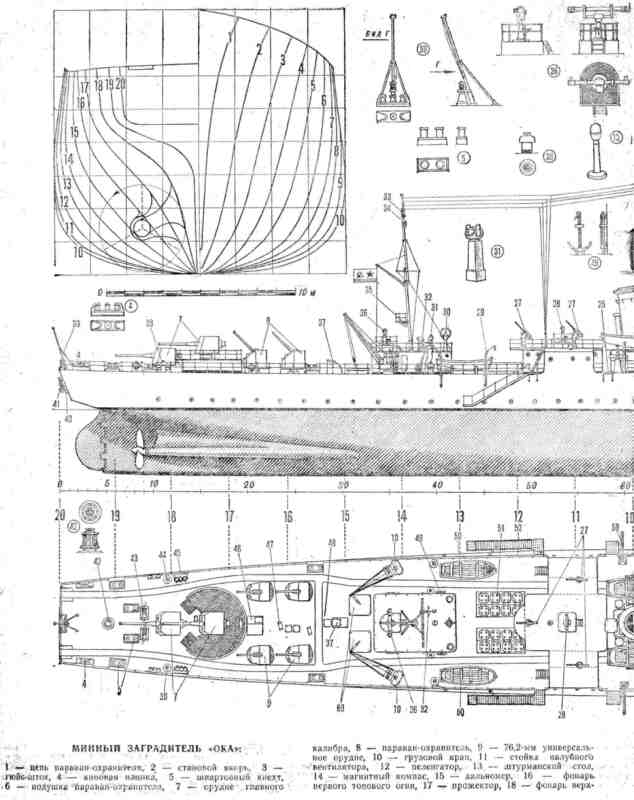 Latitude-longitude… The enemy’s submarine had been sunk." An hour later, the signalmen spotted another Nazi submarine’s periscope off the starboard side. Opening fire, the artillerists forced it to dive. However, half an hour later, the periscope showed again, now off the port side. Dense artillery fire again forced the submarine into the depths. It was becoming dangerous to follow the same course, and Meschersky made the decision to cruise as close to the shoreline as the ship’s draught allowed. The extremely risky decision proved to be the only right one. By the evening, the mine layer safely reached Tallinn. Thus started the everyday wartime routine that required daily exertion of all the strength, knowledge, rate of response, quick wits, and of that courage for which the Russian Baltic Fleet sailors had always been renowned. It happened on September 23, 1941, the day of the largest attack of the Nazi aircraft on Kronstadt. The ships’ alarm gongs rang piercingly and anxiously. The deck was no longer just quivering - it was shaking underneath one’s feet. The harbor seemed to be boiling from the ripping steel. Several dozen airplanes circled amongst the many white clouds formed by the bursts of antiaircraft fire, and one after another dove in an attack on the ships of the harbor. Spouts of water mixed with silt shot up continuously, oftentimes collapsing onto the deck. The seaman gunner Shustin was firing his weapon at the attacking Nazi airplane. A shell splinter tore away his arm. With the remaining hand he grasped the next shell and chambered it. A shot rang out. The target was hit! The bomber swayed clumsily and collapsed into the water. A new splinter bit into the gunner’s stomach. The orderlies came running. “No, guys,” Shustin moved them aside, “take those who are down - I can walk myself." More and more were fallen. Two more gun crews were out of action. Somewhere from aside, its engines growling, a bomber was approaching. One more second, and a ton-and-a-half bomb exploded several meters away from the stem post. The bow reared up, a huge spout of water collapsed onto the deck. The electricity was extinguished, but the darkness did not fall in the bilge; flecks of sunlight, reflecting off the water and penetrating through the numerous gashes in the side of the ship, scampered whimsically around the bulkheads. The bow section became gradually filled with stifling smoke. Fire broke out in the boatswain store, next to the ammunition chamber. Had the temperature risen above critical and the ammunition exploded, the ship would have gone up in air. The head of the bow’s damage control party, chief boatswain Sokolov, kept his composure. He stepped towards the hatchway and disappeared in the black gap. There, suffocating from the smoke and in total darkness, by touch only, the boatswain connected the hose to the fire mains and prevented the fire from spreading. The ship was saved. The signalmen were staring into the darkness. The gunners stood still by their weapons. The moon, suddenly emerging from behind the clouds, threw light upon the ship, and it failed to sneak by unnoticed. Shots boomed from the shores – the enemy's battery opened fire. The mines were ready for laying. The ship was now a huge powder magazine, ready to explode from the first missile hit. Maneuvering was impossible - shallows and mine fields were all around. “Aleksey Afanasyevich,” Meschersky addressed the ship's commissar Koval. “The mines must be laid now, otherwise there will be trouble, and the mission will fail." “But what about the return trip?” asked the commissar, eyeing Meschersky closely. “Prepare for mine laying!” the command resounded around the ship. Miners pulled the pins out of the first two mines. The laying began. The enemy battery managed to bracket the ship and the missiles fell everywhere. However, so far there were no direct hits. The mine layer was moving ahead, closing the way behind it for the enemy and for itself. Everyone – from sailors to the commanding officer – realized what it meant, but thought of only one thing – to fulfill their duties in such a way as the oath commands. Finally, the ship broke out of the field of fire. The order was fulfilled. The navigation officer Kononov calculated the shortest way out into the safe waters and the ship, with three coastal minesweepers in front of it, started on its way back. One minute passed, then another, all of a sudden there was an explosion, followed by another one: both sweeps were broken and the coastal minesweeper was out of operation. Two more explosions and the second minesweeper lost both of its sweeps. Two ominous black spheres passed by in close proximity to the side of the ship, swaying on the waves. Minutes passed. Each seemed to last an eternity. Once again, an explosion, this time in the sweep of the third coastal minesweeper. Only one sweep was left intact. With its help, the mine layer was successfully led into safe waters. There was a sigh of relief onboard. The dawn was breaking, the arrival at Kronstadt was near, when suddenly, a familiar whistle pierced the silence and a spout of water arose ahead of the ship. 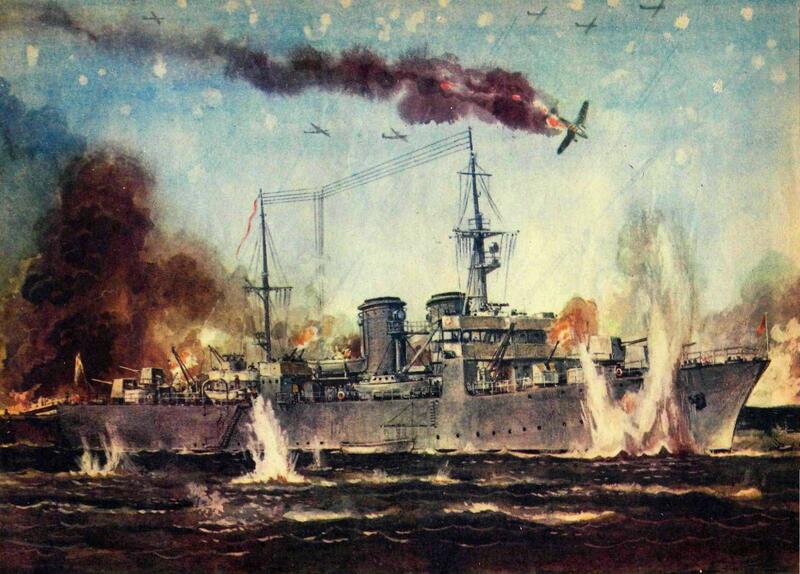 In a few seconds, another spout shot up behind the stern - another hostile battery opened fire on the ship. But this time, it was able to maneuver, to dodge. For forty minutes, the ship sailed in a zigzag pattern, for forty minutes the water bubbled around it with the falling missiles. Finally, there was Kronstadt, and the trials of the terrible night were over. In the beginning of November, the mine layer, as part of the detachment under the command of Vice Admiral V. P. Drozd, took part in the march to Hango, with the goal of evacuating its heroic defenders. The ships had to pass the 240 miles to the peninsula through the enemy’s mine fields, in close proximity to the long-range coastal batteries of the enemy. “Lay in the former course!” ordered Meschersky and thought, “When did you possibly have the time?" It seemed that life froze still, but only for an instant. Then came the reports from battle stations and inquiries from the bridge. It turned out there was much damage, but the ship was able to continue the march. The explosion resulted in the high pressure cylinder rod bending. The lubricant was no longer delivered and the rod started to overheat. What could be done? If the steam engine failed, the ship would be dead in the water. In the mine field, this would mean mortal danger. There was of course a way out – to deliver the lubricant manually. But this posed a huge risk. It would require for someone to stand with a lubricator in his hand, at temperatures reaching 60° C, amidst moving levers, over the rotating cranks. One careless move and the brave man would be torn to pieces. The tough task was doled out to the machinist Zverev. The brave sailor accomplished his mission honorably. What wouldn’t a sailor do to save his ship! The detachment arrived at Hango at dawn. With the help of a towboat, the ship entered harbor and was stationed by the wall for loading. In the course of a day, 2 029 fighters, 60 guns, 11 mortars, missiles and provisions were accepted onboard. In addition, 800 metric tons were loaded in excess of the norm. Even though the faulty engine was already complicating the laborious return, this had to be done. Captain of the 1st Rank Meschersky, pale from sleepless nights but, as always, energetic, personally oversaw the work, checking whether the fighters were put up and the load was stowed properly. In the evening, the ship detachment laid in a course for Kronstadt. In two days, when the early morning mist rose, the sailor on watch saw the Kronstadt cathedral's dome rising from the water at the horizon. Then, the old forts’ contours and the thin white strips of lighthouses emerged, and the trials were left behind. “There are enemy’s airplanes in sector number three, four hundred meters high,” reported the antiaircraft gunner on the lookout. The general-quarters signal of the alarm gongs resounded around the ship. The enemy vultures, in groups, some in a dive, some in a level flight, charged from different directions. The Nazi’s calculation was clear – to sink the ships while there was still ice and the ships were unable to move. But the wall of antiaircraft fire created by the ships and the coastal batteries turned out to be indestructible. The Hitlerites were not considering their losses. One attack followed another. The gun barrels were red-hot. Hundreds of shells piled up on deck. At the height of the battle, the news, transmitted by radio, about the crew of the mine layer being awarded the “Guards” rank, spread around the ship. The difficult day became a day of celebration. 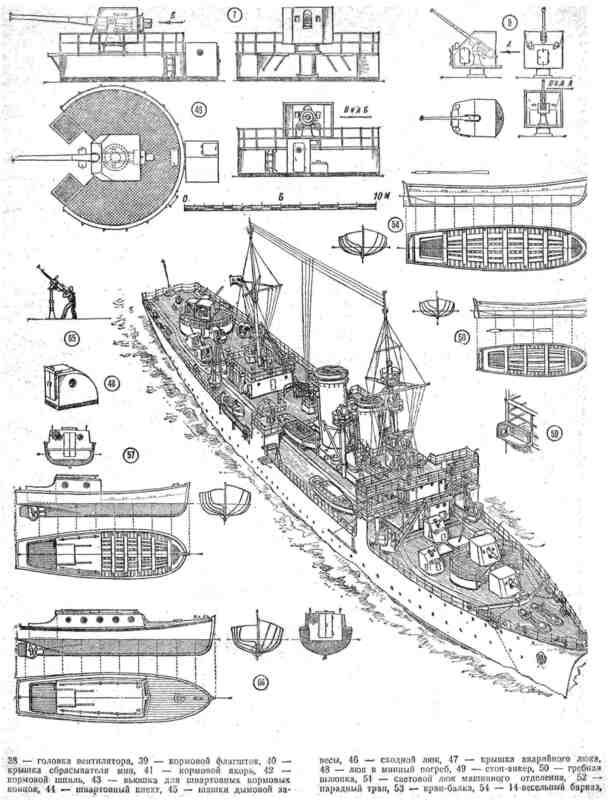 Many more glorious pages were added to the combat chronicles of the Baltic Fleet sailors by the Guards mine layer. In the postwar period, the ship, renamed Oka, remained in commission. It made part of the USSR’s Navy until the end of the 50’s.